I think I just had this epiphany. I like to be right. That's not the epiphany. Anyone who really knows me will say, "duh" to that one. Of course, I would argue that they are wrong. Ha, ha, ha just kidding (maybe not). times. I get so focused on convincing someone I'm right or explaining the logic of why they are wrong, and wanting them to say, "You know what? Now that you have laid out this flawless, completely logical argument, I can not see that you are right. I change my previous position." Like that is ever going to happen. It rarely happens because guess what? I am not the only one who likes to be right. Actually it has a few times, but I suspect it was because the person was really tired of arguing with me, and you know "winning" because I have worn them down is just not as satisfying. So what's more important? Being right, or actually reaching the outcome for which you are arguing. And, honestly, it's not just being right for the sake of being right. It's wanting that feeling of being heard, accepted, validated. However, sometimes you need to ask yourself what's the larger goal. Is being "right" standing in your way of getting what you want? 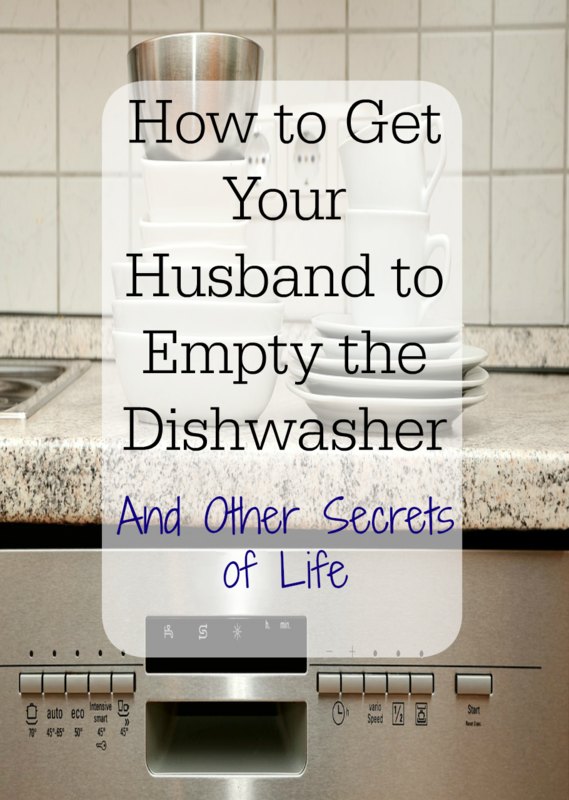 For example, I really want my husband to empty the dishwasher in the morning. For one, I hate doing it. I really hate it. 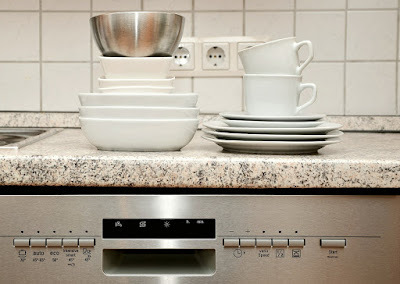 I'll load it, I'll run it, I will clean up the kitchen after I cook dinner, but please, please don't make me empty the dishwasher in the morning. So, I drop little hints like, leaving the dishwasher door open in the morning, so he has to walk around it or close it to get to the cabinet. 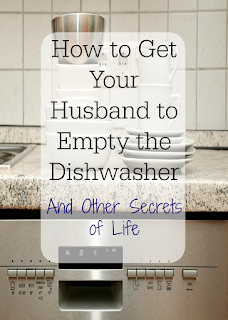 My husband, who gets up before me, simply steps around it, or even closes and reopens it (figuring I must have wanted it open), and puts his dirty dish in the sink for the dish fairy to put into the dishwasher once it is empty. So, then I drop little hints. By little hints, I mean I move to passive aggressive tactics. Sighing loudly as I unload the dishwasher, very firmly putting dishes away and slamming firmly closing cabinets as I mutter loudly, "Sure would be nice if the dish fairy would put the dishes away so I don't have to." My husband completely sincerely and thinking he is showing me some empathy and support says, "Yeah, that would be nice wouldn't it?" Now my head is going to explode. I burst out, "Can you please put the dishes away. I hate it, and I don't feel like I should have to do it all the (expletive removed) time!!" My husband: "Oh you want me to put the dishes away?" My head really is going to explode, "Yes!!!" My husband, 'Why didn't you just ask? As long as we can run it at night and i can put it away in the morning." BUT, What about my list of reasons I prepared for why he should do this? I can't use those now? Could I live with running the dishwasher at night if it meant never having to empty it again? Hell yeah! Why didn't I just ask? Because I wanted him to say on his own something like this, "I see how hard you work around here, and I really appreciate it. Let me help you. I should put the dishes away." I wanted him to admit to me that he was wrong for not seeing that those dishes should be put away. I see it when my kids argue about what they should play. When I ask them what the goal is, it is to play, but they get so focused on getting their way in one particular way that they can't move past it to reach a common goal. Once they calm down, they can see that they both have the same goal to play, they just have different ideas on how to get there. Once they decide on the most important goal, it is easy to decide what to play together. "Right" often comes at a high cost, and often so much energy is wasted on being right that you get distracted from what you originally wanted to be right about. Besides that, it makes the other person "wrong" and no one likes that, so you risk damaging a relationship and for what? Because you might be right, but that will be all you have to show for it in the end. You will still be unloading the dishwasher, which by the way, I haven't had to do in months, and it was so worth giving up being "right". We owe it to the people we want relationships with and to ourselves to understand what we really want, and what our real boundaries are before we worry about being "right." So, it that pause button before your head explodes, and ask yourself what do you really want to happen? What does success look like to you? What are your boundaries (the things you don't want to compromise on), and then work from there. When you work with a goal in mind, it takes the personalization out of the argument and moves from conflict to solution. The Road to Self Care Starts Here!